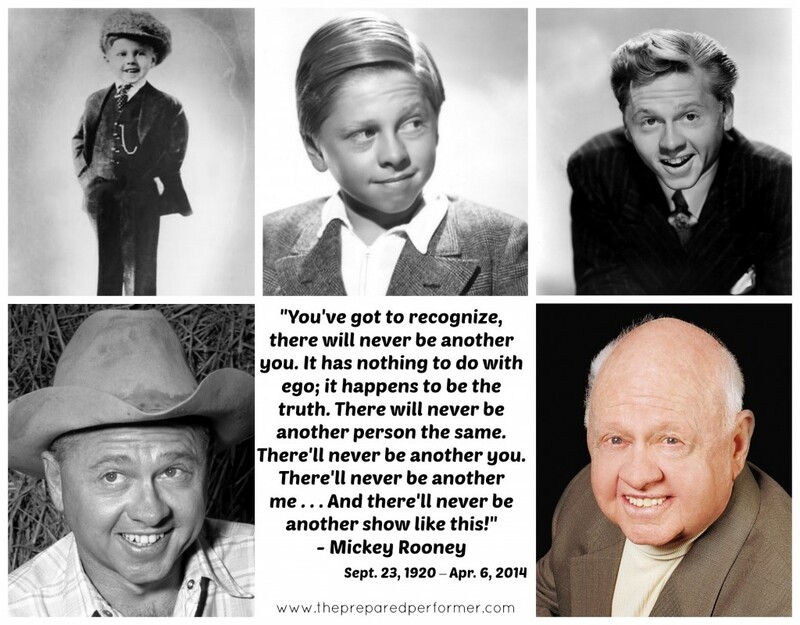 As you've probably heard, actor Mickey Rooney passed away yesterday at the age of 93. I have always been so impressed by his ability to exude joy and what seems to be an amazing work ethic. He lived such long, full life, and brought joy to so many over the years. His advice for other actors is top notch! There will never be another Mickey Rooney! There will never be another you. So, in honor of Mr. Rooney's long life, go out and remember to celebrate the YOUness of YOU!